Wooden Blinds are made of eco-friendly material, which is an advantage not only to the blinds owner but also to the whole humanity. 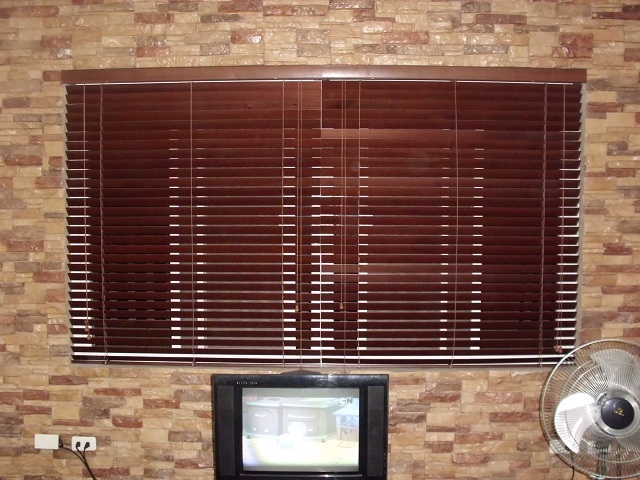 Wooden blinds are practical material to modify the natural lights that enters our room. Using wooden blinds will help us lessen the amount of plastic or metal used as our house materials. As it is a source from sustainable forest, it will not take much effort to make it furnished well. Having wooden blinds can add an extra touch of comfort and character to any of our room in home. Since wooden blinds are made of natural solid wood, they can simply provide privacy without looking stark at the same time they can add beauty and extra ordinary look to the rest of the furniture. 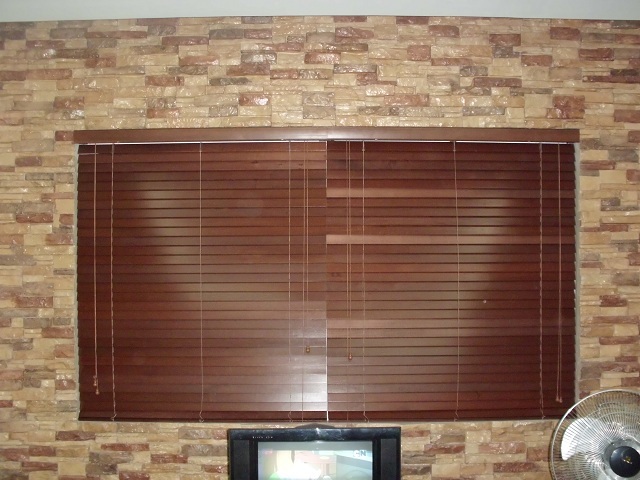 Interior decorators preferred wooden blinds in cold places for this blinds could add warmth and comfort to our place. These blinds look much better than traditional window coverings (curtain) for they give natural and graceful charm to the room, and it is also a good insulator from hot or cold seasons. In addition, wooden blinds never lose their original colours, unlike curtains the colour might fade out due to sunlight. If you are planning to renovate your home, opt for a wooden blinds. It will lower your finances because it is proven to last for many years as well as you can choose different colours for your different room theme. If you are planning to buy curtain, disregard the idea, instead prefer to buy a custom made wooden blinds at DS Windows and Walls. 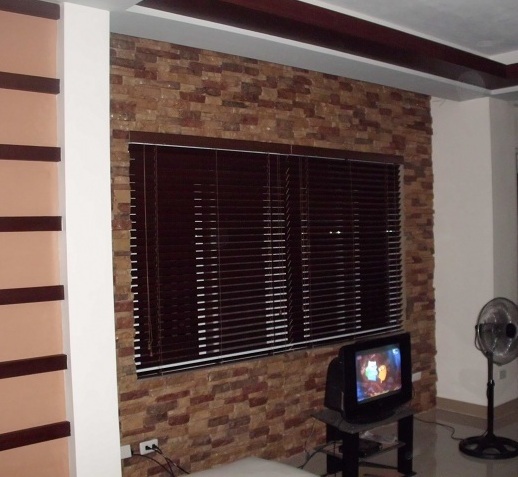 Photos above are installation of wooden blinds from one of our clients at Bagumbayan, Taguig City, Philippines. Bricks wall colors suitably match to the walnut color of wood blinds, creating an alluring and elegant look. For more information regarding our products and services, visit us at 4th level Waltermart, Makati and 3rd level Robinsons Metro East, Pasig City. We offer free estimate within Metro Manila, simply call us at 0916 311 3909 / (02) 403 3262 or emails us at inquiry@dswindows.com.